A new JESCO premium connection is JPC4. This is developed in sizes 4 ½" 5 ½" 7" 9 5/8" and 13 3/8", for each, in a large variety of wall thicknesses and steel grades. Repetitive makeup and break-out operations, performed under different torque ranges and dope quantities showed that JPC4 has a reduced galling risk ensuring a gas-tight sealing in the most critical operating condition. JPC4 offers a tensile efficiency of 100% and a compression of 100% for sizes up to 7", and a minimum of 80% for sizes 9 5/8" and 13 3/8". 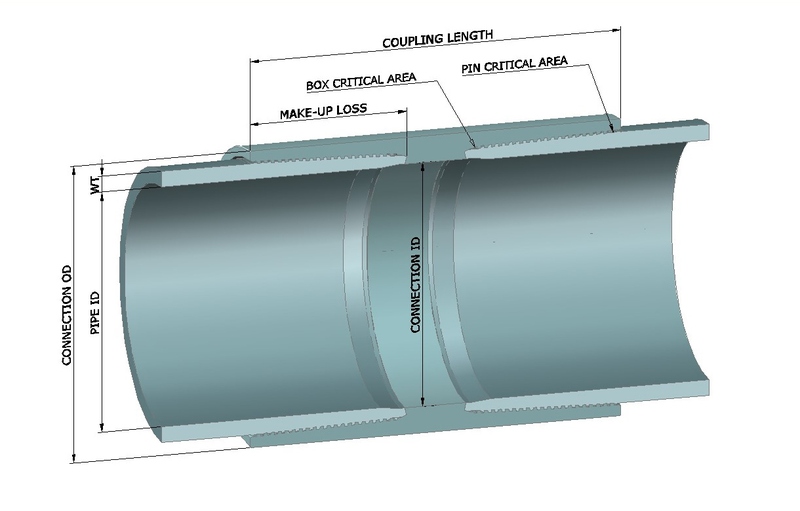 Its performances under the combined loads such as internal or external pressure, thermal cycles, bending, traction or compression, are fully proved through ISO 13679:2011 CAL IV tests, JPC4 being one of the few connections tested according to the last and toughest revision of this standard.